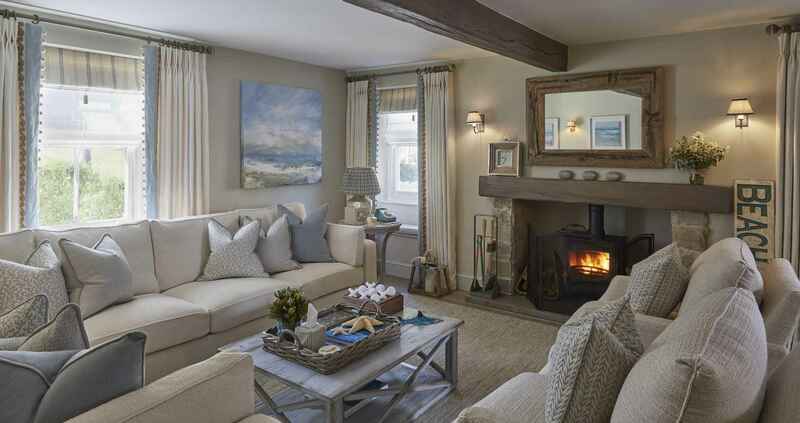 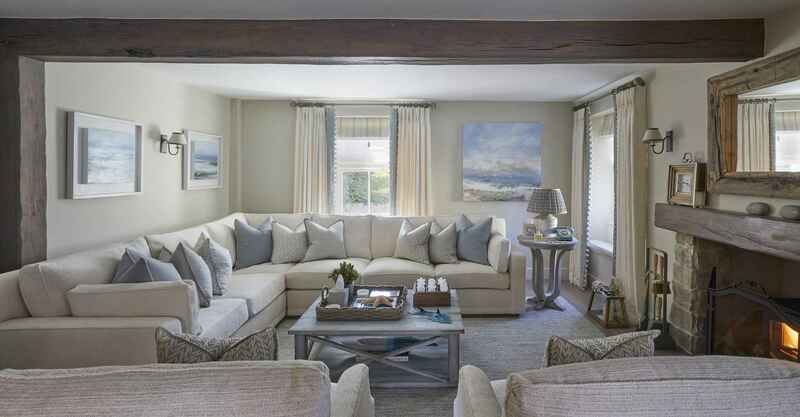 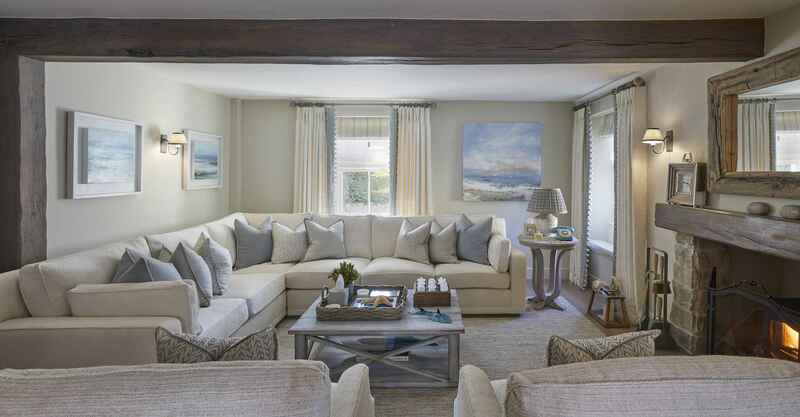 The living room of our luxury cottage epitomises the inspiration and history of the area and building. 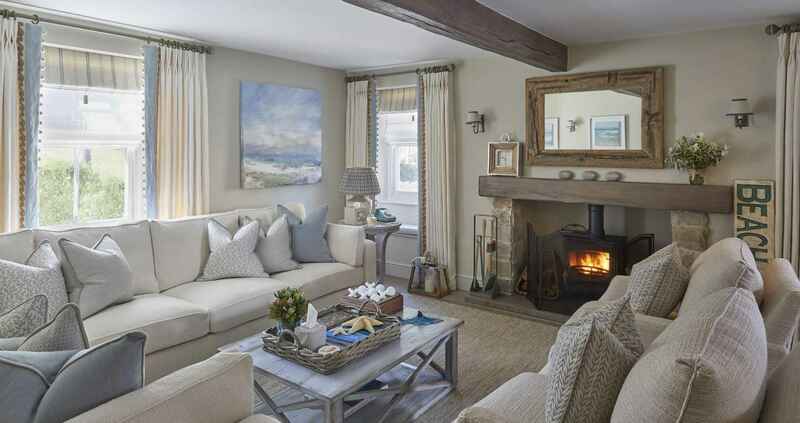 Central to the living room is the open log fire where the popping and hissing of the wood will comfort and soothe our guests. 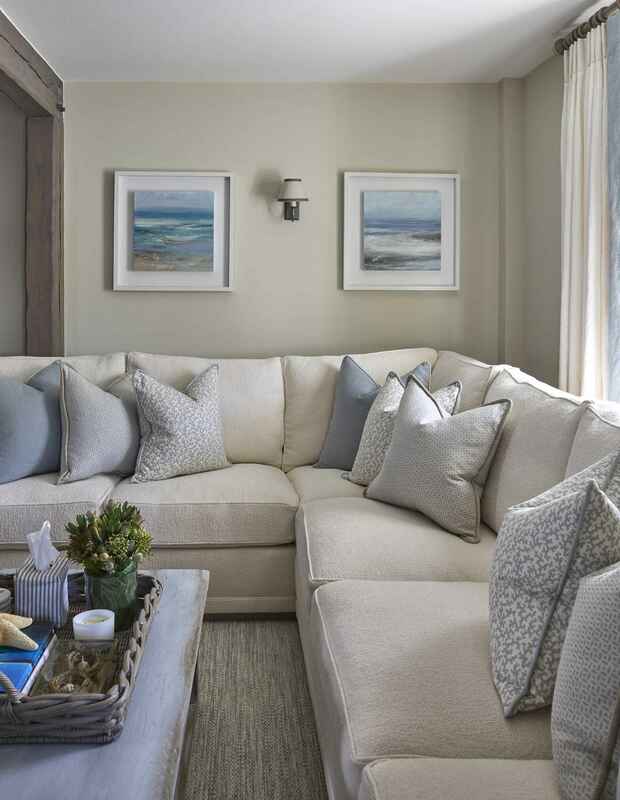 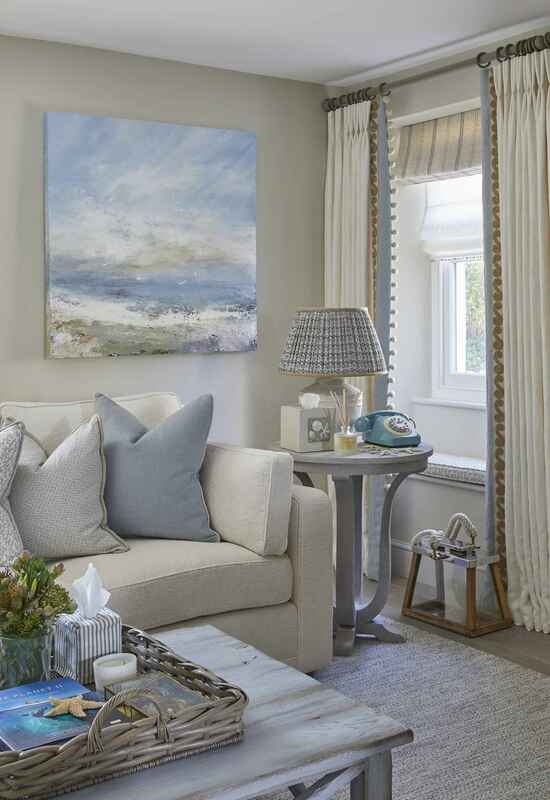 Bountiful sofas invite our guests to relax and socialise in the space that is designed with soft creams and pastel blues whilst shells bring the seascape and nature into the room.